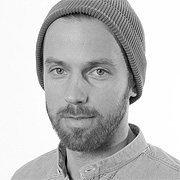 As Creative Director, Martin works on digital and integrated campaigns at Jung von Matt/Alster, for national and international clients such as Mercedes-Benz, NBC Universal, sixt, Bild, Sparkasse, evian and Konzerthaus Dortmund. He participated on the 2012 New York Festivals Grand Jury and he is part of The One Show Interactive panel, awarding the most creative and innovative interactive communications at the 16th Annual One Show Interactive Awards. Martin has received several awards including a Cannes Grand Prix, Eurobest, Clio, London International Awards, New York Festivals, ADC NY, Europe and Germany, AME, Euro Effie and the One Show Interactive. Martin studies Media Information Science in Hamburg and Multimedia Design in Cape Town, before he was recruited to Jung von Matt to help build their digital department in 2005. Over the last several years, he has worked as a Screendesigner, Art Director and Creative Director for the agency.